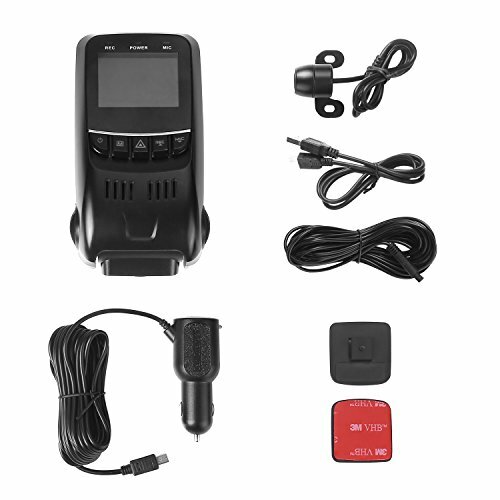 APEMAN C550 equipped with advanced technology dual camera, front camera features Full HD 1080P 30FPS video recording plus the VGA 640X480 rear camera make you clear all the situation around your car. 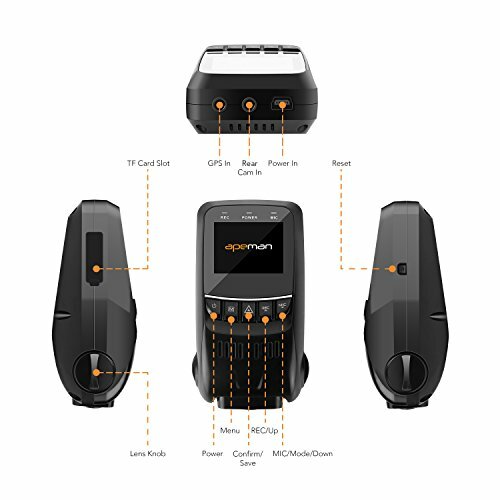 APEMAN C550 offers you a number of resolution options, letting you record in high definition 1080p at 30fps or 720p at 60fps. 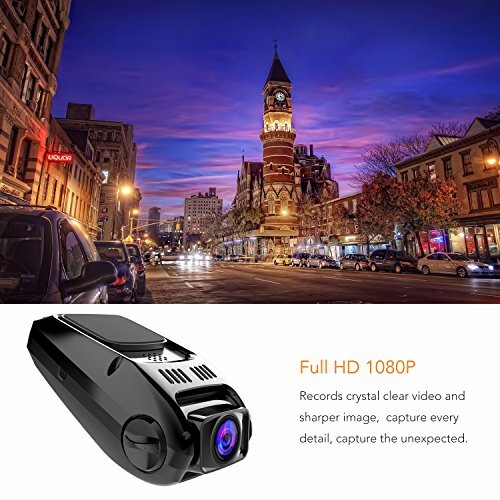 During the day, the camera’s 1080p resolution perfectly captures your surroundings. 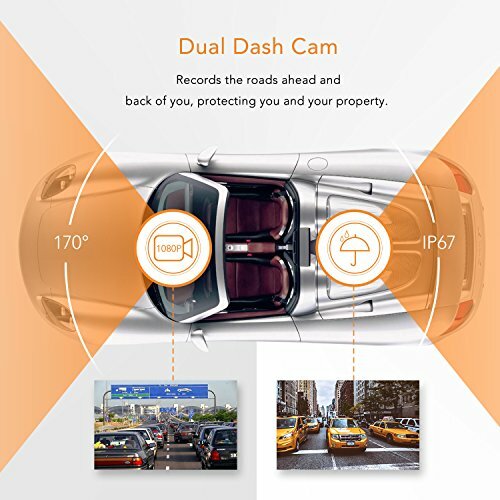 High performance wide angle (170Â°) lens captures and plays back distortion-free HD/FHD video to your car DVD/GPS screen. Stand-by loop cycle recording at 1, 3 and 5 minutes loops. 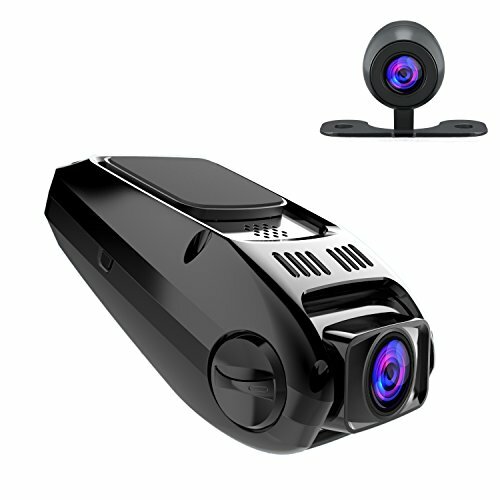 Dual camã€‘ The mini size dash cam performs well with the stable system and advanced technology. Full HD 1080P 30FPS front camera plus VGA 640X480 rear camera allows you record front and rear sight at the same time. 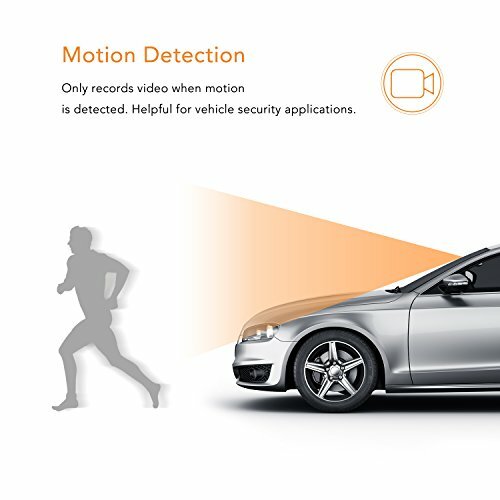 Excellent Functionsã€‘Motion detection function give you a brand new experience on dash cam, it would start recording if it detects movement, you can also start emergency recording by yourself. 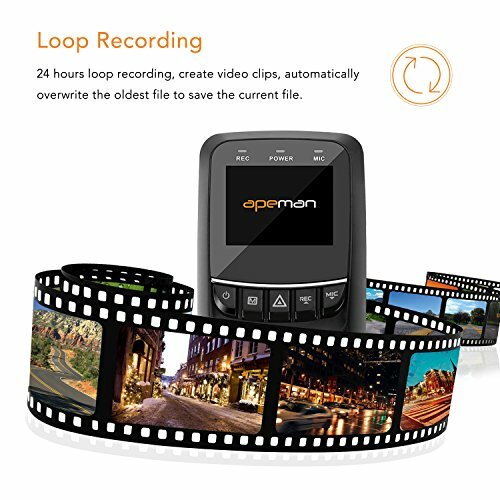 Loop record function plays an important role in saving your important videos. GPS Positioning System for speed and location monitoring. 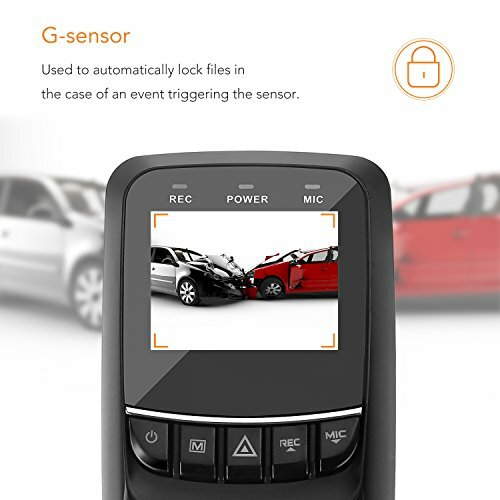 Powerful Configurationã€‘: G-Sensor data protection automatically senses a crash and saves the video files avoid overwritten or corrupted. WDR(Wide Dynamic Range) feature enhance to record the clearest video at all time. 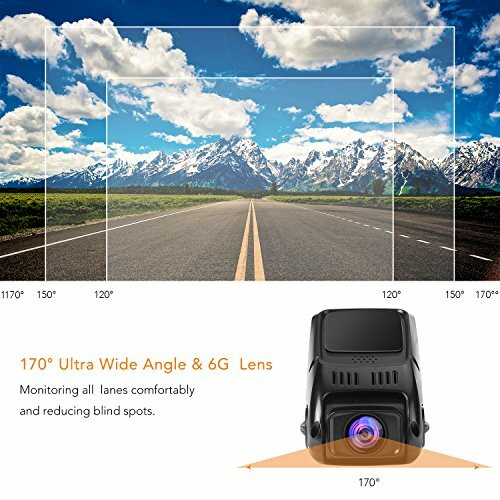 Wide View & Clear Night Versionã€‘Super Wide 170 Degree Angle and 6G Lens provide extra clear and broader field of your view. Super Night Vision also allows to record details of the view, has great working performance in a dark environment.